Hardcover, 6 x 8.5 in. / 344 pgs / 91 color. Edited by Judith Lewis, David L. Ulin. Introduction by Mariana Amatullo. Foreword by Richard Koshalek. Preface by Antonio R. Villaraigosa. Design by Stefan Sagmeister. 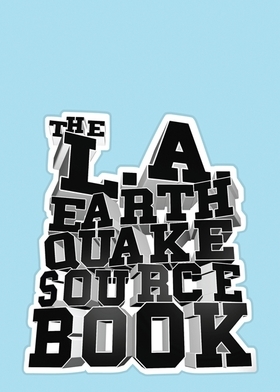 This is the coolest earthquake-preparedness book ever published. Predicated on the assumption that the Big One is all but imminent, The L.A. Earthquake Sourcebook combines practical advice with compelling graphics--an essay advising the reader what to include in a personal disaster "supplies kit," for instance, is illustrated with a comic that gives voice to a more jaundiced view of disaster preparedness, in which a character anticipates, "Three days after the quake, panic sets in. Marauders who didn't prepare will go foraging for food. There'll be gangs... There'll be looting..." The result is a highly useful and readable compendium of the latest knowledge and scientific data about earthquake preparedness and recovery by educational institutions, civic agencies and individual experts in a wide variety of fields that manages to also be timely, realistic and even entertaining. 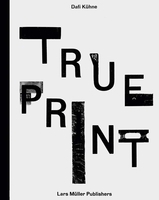 This striking volume was designed by award-winning New York-based graphic designer Stefan Sagmeister and includes illustrations by designers and artists including Paul McCreery, Vincent Hui and Katherine Siy, as well as a number of excerpts from renowned authors such as Joan Didion, Lawrence Weschler and John McPhee. Created by Art Center College of Design students and faculty, and edited by David Ulin, Book Review Editor for the Los Angeles Times, the publication also includes an introductory essay by former FEMA Director James Lee Witt. FORMAT: Hbk, 6 x 8.5 in. / 344 pgs / 91 color. Published by Designmatters at ArtCenter College of Design.